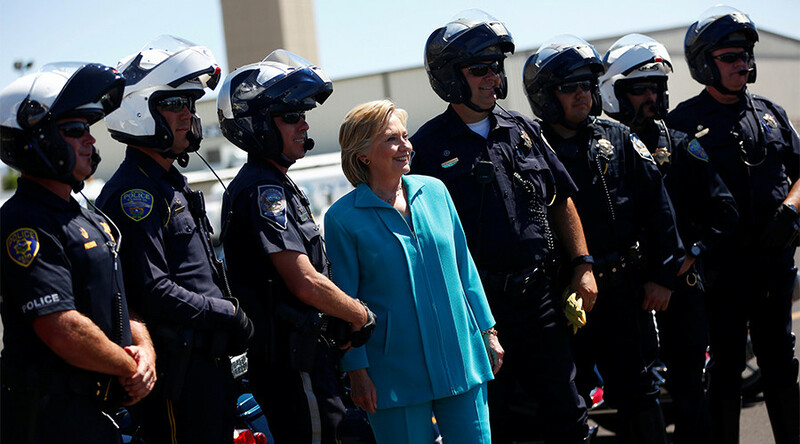 Hillary Clinton, Bernie Sanders and Donald Trump are in hot water with local police across the US for failing to pay hundreds of thousands of dollars in security bills racked up during their presidential campaigns. Trump’s campaign owes $204,000 in invoices from police, the Center for Public Integrity reports. Clinton has $25,000 in unpaid bills. Both Clinton and Trump have failed to disclose any money owed to cities in their federal campaign filings, so their total security costs are likely even higher. Sanders, on the other hand, disclosed that his campaign owed $449,409 to more than 20 different jurisdictions. In some instances, the campaigns have told local officials that they were not responsible for the costs. To make matters worse, officials can’t force the campaigns to pay up unless they signed a formal agreement, which many have not. The three campaigns combined owe the city of Green Bay, Wisconsin $24,000, the Center for Public Integrity says. “There shouldn’t be much debate about it,” Youngstown, Ohio Mayor John McNally said. Youngstown is awaiting a $6,000 payment from the Sanders campaign for a March event. Trump owes Tuscon, Arizona $81,837, and in this case actually has a written contract. Officials in Spokane, Washington await $65,124 from the president-elect. Clinton’s campaign has largely been ignoring its bills. The campaign owes Green Bay $12,800. Philadelphia, Pennsylvania officials have sent invoices, a debt collection letter and a final collection letter to the campaign for the $2,678 it is owed. They received no response. The unpaid and ignored bills sting even more because of Clinton and Trump’s campaign rhetoric about the need to support law enforcement. While Sanders’ Veterans for Bernie organization criticized Clinton over this during the primaries, Sanders has also failed to cough up the cash owed. Sanders’ lawyer argued against a Tuscon bill, saying the campaign should not pay for security that the Secret Service requested. Each campaign has the ability to pay their debts with money remaining in their campaign funds. Clinton has $838,000 left, Sanders has more than $4 million and Trump has $7.6 million. It isn’t clear who is actually responsible for paying the security costs incurred during campaign rallies. The US Secret Service is responsible for the candidates’ safety and often requests additional police presence, but does not take responsibility for compensating police for their work. “The US Secret Service is not funded during the appropriations process to reimburse state and local police departments assisting the Secret Service in protective operations,” said the agency’s spokeswoman Cathy L. Milhoan.